I have had this post on my mind for a while now but haven’t had the time to really sit down and create a freebie and write about them, until now. 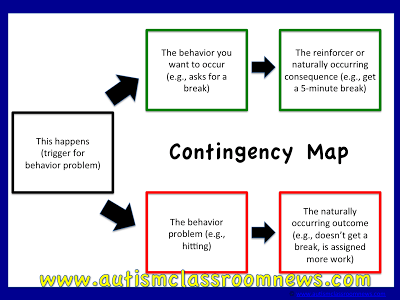 Contingency maps are a cognitive-behavioral method for helping an individual to understand the consequences of behavioral choices. They are particularly useful for teaching individuals to use functionally equivalent behaviors as alternatives to problem behavior. 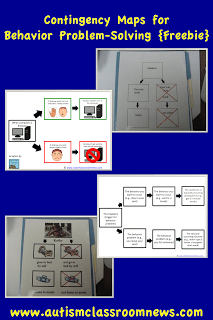 They also are sometimes referred to as consequence maps and they are essentially graphic organizers for behavior. Michelle Garcia Winner uses similar strategies for Social Thinking that she calls Social Mapping. 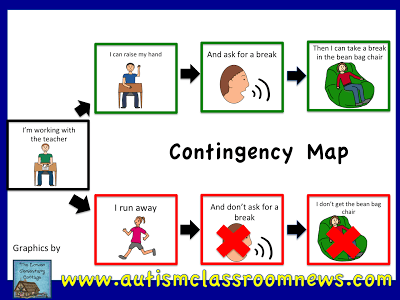 Contingency maps are a visual support that has been around in many forms for a number of years. The examples below come from a strategy we used to call visual problem solvers about 15 years ago. Essentially, they are set up so that the student can see the consequence of the alternative behavior and the consequence (typically the naturally occurring consequence) of the negative behavior. So in this example, If Matthew does his work, he earns a token. If he doesn’t do his work, he doesn’t earn a token. On the right, if Kathy goes to bed by herself, she gets to listen to music. If she doesn’t go to bed by herself, she doesn’t get to listen to music. 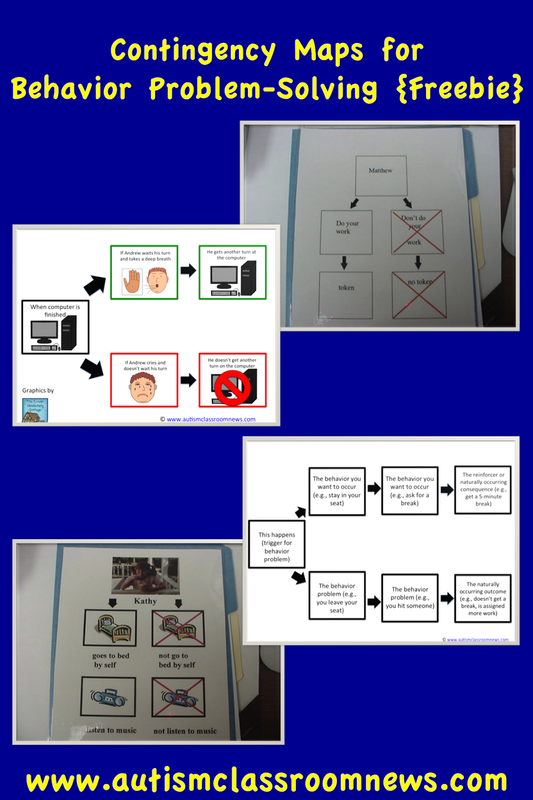 As a visual support strategy there is evidence for the use of a variety of visual cues to increase independence and reduce problem behavior, and contingency maps fit in that body of literature. Specifically there have been two peer-reviewed articles looking at contingency maps as a way to reduce problem behavior. Using a single-subject research design, Brown and Mirenda (2006) showed that the use of visual contingency maps were more effective than providing verbal contingencies to an individual for initiating and completing routine tasks [click here to read the abstract]. 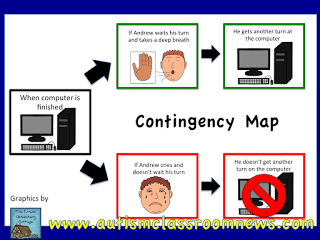 Brown and Mirenda used the contingency map as part of a functional equivalence training program (also known as functional communication training). 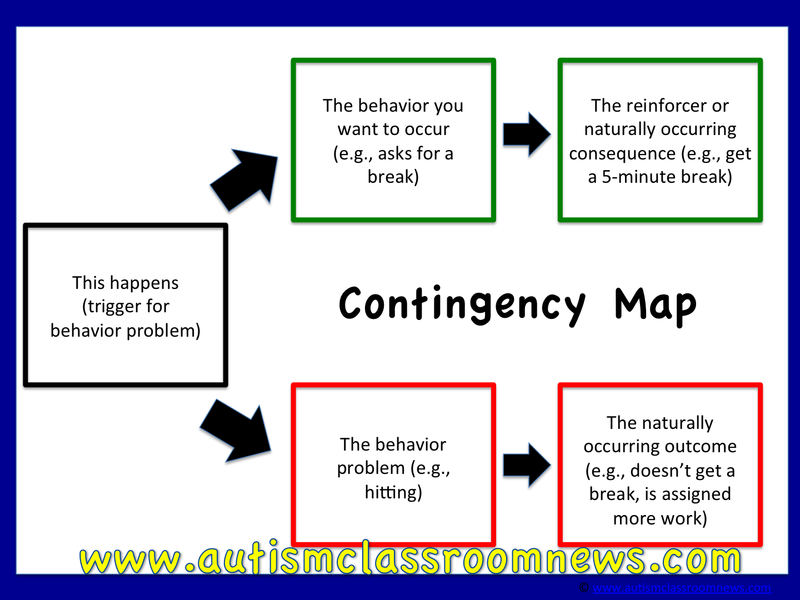 The contingency map showed the alternative behavior that was designed to replace the challenging behavior by serving the same function. Tobin and Simpson (2012) have a great article in Teaching Exceptional Children describing data with another individual, using a single-subject design, that showed that a contingency map (they refer to it as a consequence map) was effective in reducing challenging behavior (decreased the frequency of disrobing) of a student. If you are a member of the Council for Exceptional Children (CEC) –and I highly recommend it if you are a special education professional–you have access to the article through their portal here. If not, the abstract is available there as well. This article also has a great description of how to implement contingency maps as well as examples. Essentially to use a contingency, first you need to identify the specific behavior you want to change. You need to define it clearly and make sure that you and the student understand what it looks like. It also helps to take a baseline of the frequency of the behavior so you can determine if your contingency map works. Next, you need to determine the function that the behavior serves. That is the topic of another post to cover, however, I have written about in the past and there are some tools available at this post. The purpose of knowing the function of the behavior is to determine what appropriate behavior will serve the same function that you can use to replace it with. For instance, if your student hits to escape from work tasks, think about teaching him to ask for a break. Then this would be part of your graphic organizer. Third, you need to create the contingency map, and that’s where I’ve got your back. Below is a link to a freebie set of contingency maps along with some universal “no” signs to use with them. In the future I may create a product that has more maps and visuals to go with them, but in the meantime you can use your picture symbols from your class, digital photos, or Google images to create the needed visuals. Essentially a contingency map makes the statement that when this happens (typically the identified trigger for problem behavior from your functional assessment), if the student engages in the appropriate alternative behavior (e.g., asking for a break), he or she will get a consequence he or she enjoys (i.e., a reinforcer). If he or she engages in the negative behavior then the positive consequence does not occur. Sometimes the good choices are colored green and the poor choices are colored red, as in the description below. 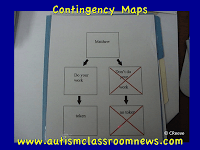 Contingency maps can be written or visual depending on the skills of your students. They are good visual cues to use for redirection since they show the consequence of behaviors. In this example, the student’s behavior has been determined to be functioning to escape work situations. So, if he raises his hand and asks for a break, he gets a break to sit on the bean bag. If he doesn’t ask for a break and runs away, he does not get the bean bag. 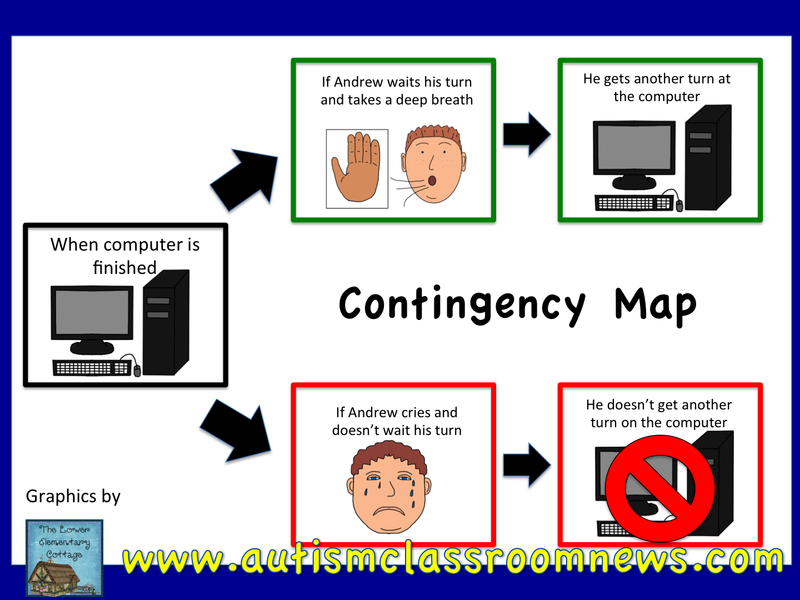 In this example, when the computer is finished, Andrew (who I made up based on many students with ASD I see with this problem behavior) frequently cries. So, when his turn on the computer is finished, if he takes a deep breath and waits for his turn to come around again, he gets to use the computer again. If he cries, then he won’t get the computer. I have to give a shout out to Lisa Parnello for the graphics in these pictures (which are not part of the freebie). 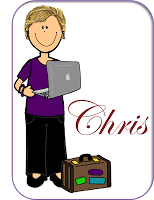 You should definitely check out her store for some great clip art as well as terrific special ed. products. After you have created the visual, it is not a magic bullet and it won’t work without teaching. You have to present the visual contingency and provide at least a brief explanation about how it works. Sometimes a social story or social narrative can be helpful for this. I really like this example of a contingency map with a social story. I would also practice the contingencies through a role play and make sure you have it available when it is needed to be used. I would present it with as little verbal interaction as possible, just to lessen either the attention from the verbal explanation as a possible reinforcer for the problem behavior or to keep from escalating the behavior with verbal demands for some students. Make sure to reinforce the alternative behavior with the promised contingency. It is important to make sure that the reinforcer is meaningful for the alternative behavior and reinforcing. Tools for finding reinforcers for students with ASD can be found in this post. It also helps for the consequence to be naturally occurring to help the behavior maintain in the absence of the map over time. So for instance, if I ask my friends questions, they will want to talk to me, but if I hit my friends, they will not want to talk to me. Take data on whether the frequency of the behavior is decreasing. If it is working, then over time you can fade the use of the visual map as the student becomes more independent and the negative behavior reduces in frequency. 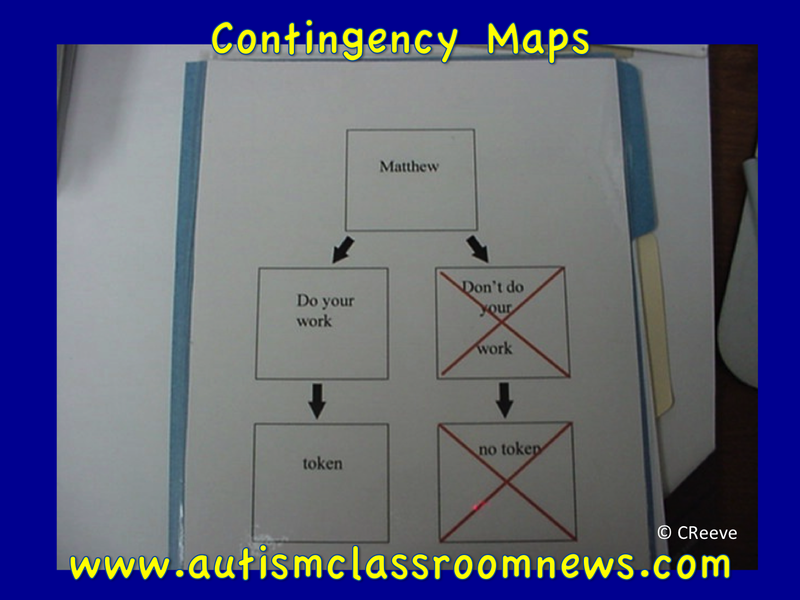 So, to help you use contingency maps, I have created some templates for you to use. Click here for the free version through my TPT store. 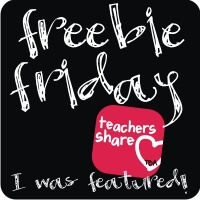 If you haven’t joined TPT, you definitely should–it’s free and there are so many resources. I’ve included 2 organizers/ maps and you can either add velcro to add pictures to them or write on them for students who don’t need pictures. Remember that if students are not great at comprehending what they have read, they may still need pictures. 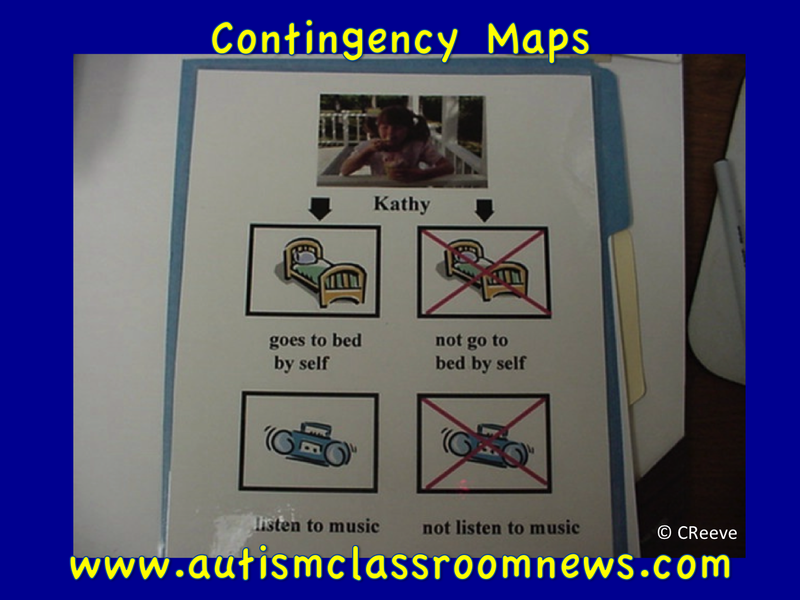 You could also laminate the chart and use a dry erase marker to make a contingency map on the fly. Update: I just made added the PowerPoint templates for the blank ones so they can be edited. The file is now a zip file so make sure you have the software to unzip it. TPT offers information on this if it is needed. 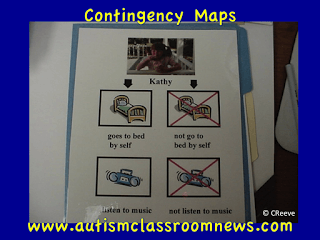 Have you used contingency maps in your classroom? If so, please share in the comments! I would love to hear how you are using them. Hi. Just wanted to let you know that we took your suggestion about contingency maps and RAN with it. What a lifesaver! We have used it for major and minor work tasks. It makes expectations clear and visible. LOVE it! How do I share pictures? That's awesome! You could post them on your blog and link it back to the post–and let me know so I can send people to see them? Or you can email them to me (or post them on my Facebook page) and I will share them here! I would love to see them and I'm sure many others would as well. Thanks so much for letting me know it worked for you!